Credit is a complex thing, and many people end up using their credit rating unwisely and then getting too much debt as a result. If so, here’s how to rebuild your credit history! Check your credit reports: This should be the first and the most important thing you do. You need to know where you are at, financially. Do you have many missed/late payments? Or is your debt utilization too high? You can get a free report from a credit bureau once a year. When you get your credit report, check for errors or fraudulent accounts, because they can bring down your score. If you notice something wrong and realize that you were a victim of identity theft or fraud, report them to the credit bureau/company and you can freeze your credit to prevent further problems. Pay off past due accounts: your payment history is the most important factor in credit scores and it will be difficult to be approved for traditional credit accounts with unpaid collections in credit history. If you are unable to pay off all the accounts, make sure you contact every creditor and explain the situation, most are willing to work out a repayment arrangement. Pay your bills on time: this is a no-brainer. If you want a good credit score and not owe any more money, then pay any bills in the future on time (including non-credit bills). Setting a reliable pattern is really important for rebuilding your credit. You can consider setting up automatic withdrawals in order to avoid missing any future payments. Avoid closing Credit Card Accounts: It may sounds weird but keeping your credit card accounts open will actually help your score. The longer the credit history, the better the score will be. If you are very late with repayments, then you may have to close your accounts, but if it’s possible, keep the older accounts to have a substantial credit history. Pay off debts to keep your credit utilization low: the credit utilization is a measure of how much debt you have, expressed as a portion of the available credit. For example, if you have a total credit availability of $20,000 and you are using $8,000, then your credit utilization is 40%. To improve your credit score and keep a good credit score, try to reduce your utilization to about 30% ($6,000 in this case) or less. Take out a debt consolidation loan: If you take out one the correct way, then a loan can improve your credit score. You can take out a loan to pay your other debt off. 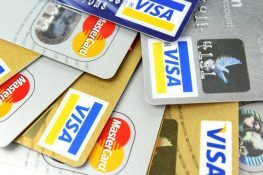 But if you decide to close both your credit card and line of credit after fully paying them off, then you would end up having less amount of credit and more utilization. Apply for a secured credit card: You would be required to make deposits into a bank account (checking account, etc.) and the credit card limit will be tied to the deposit in the account. As you pay your monthly bills on time, then the bank may be willing to convert the card over to a regular unsecured credit card account. Get an Installment Loan: When you have a secured credit card and are on your way to improving your payment history, you can try to obtain other loans, such as mortgages and auto loans. Be careful with doing this, if you apply for too many loans, your score may be damaged. It’s advised to start small with a small installment loan. Practice Good financial Habits: Rebuilding your credit score may take time, from 60-90 days to 2-3 years to see improvement, but if you develop good credit habits, then you will definitely see improvement in your credit score. Credit rebuilding won’t take overnight, but if you follow those tips, then credit scores will not be so difficult to handle. “P, a 65 year old full-time worker in Vancouver, enjoyed buying gifts for her children, helping her friends with their needs, and paid with credit for living expenses. Even though if she was hoping to retire soon, P owed over $85,000 on 11 different credit accounts. Her husband didn’t know. P was stressed out at the thought of telling her husband about all that debt and wanted to find a solution. Her bank was unable to help her out; however, they referred her to a [debt counselling company]. After meeting with her counsellor, P started to track her spending habits. She had lost track due to using so many credit accounts. On top of that, she was also unknowingly paying for insurance on several credit cards, adding more to her debts. With her counsellor’s guidance, P built a budget and learned to plan her spending. She did not want to be burdened with debt during retirement.